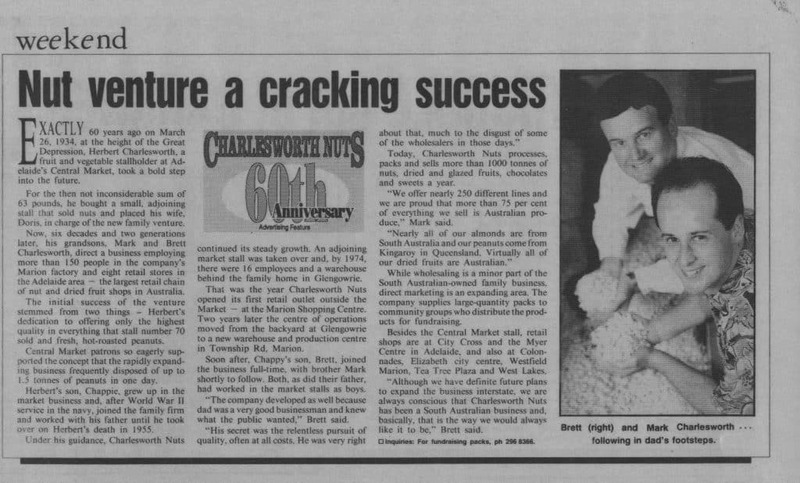 March 2019, Charlesworth Nuts still cracking on after 85 years at Adelaide Central Market, news.com.au. 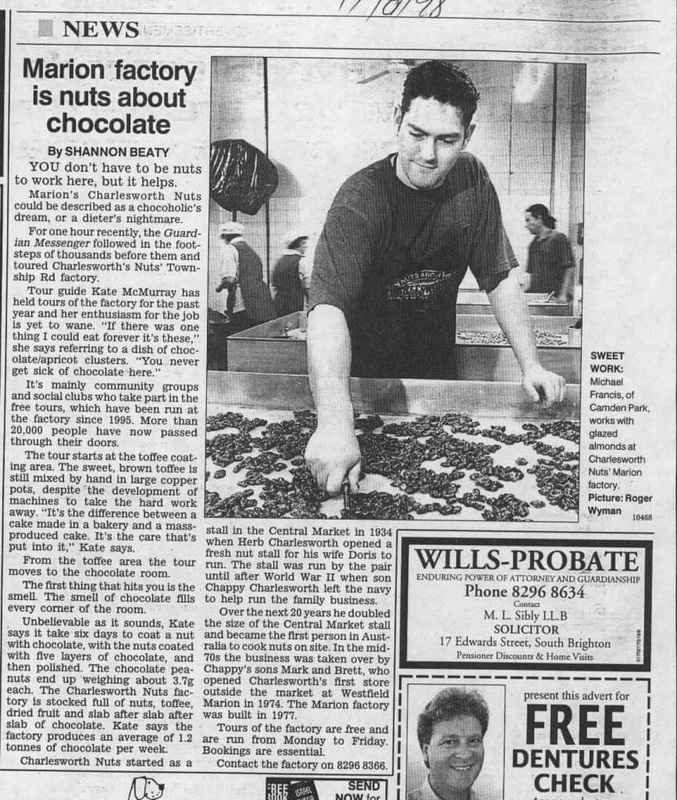 October 2018, Adelaide Hills shoppers nuts about Charlesworth, Brand South Australia News. August 2018, 2018 Royal Adelaide Show: More than 400 showbags will be up for grabs, news.com.au. 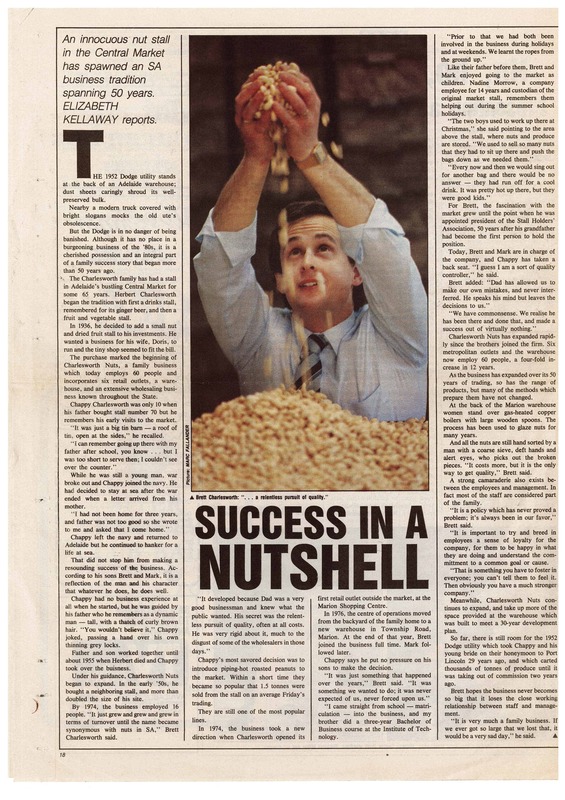 May 2018, Brett Charlesworth – CEO Charlesworth Nuts, Breakfast at the Next level. November 2017, All in the Family, CityMag. August 2017, Krispy Kreme & Charlesworth About to Drop A Nutty South Aussie Doughnut Collab, Glam Adelaide. April 2017, City Awards: Charlesworth Nuts, the Adelaide company that’s been growing for 83 years, seeks Hall of Fame, Adelaide Now. 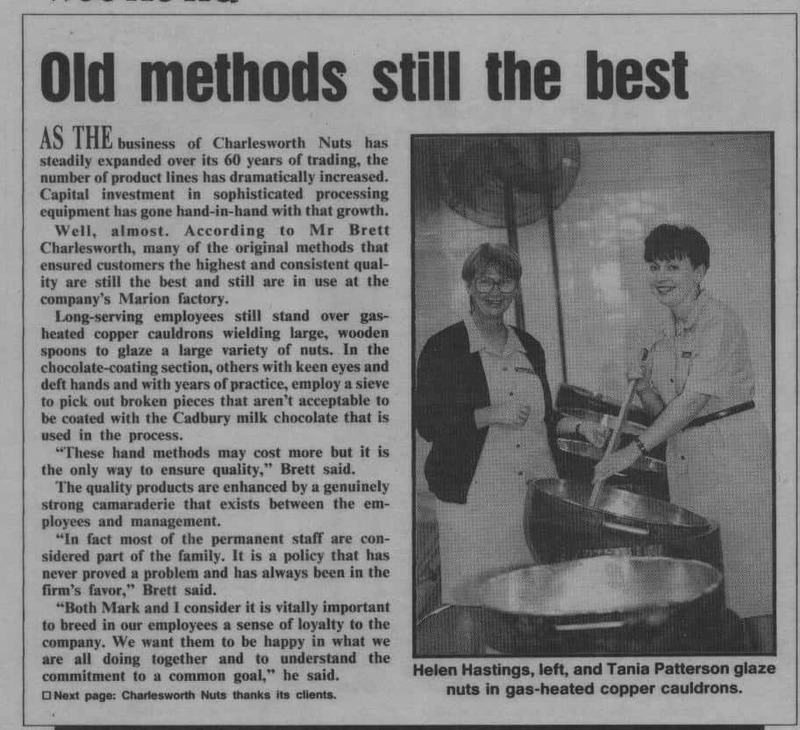 June 2013, Meet Charlesworth Nuts joint chief executive officers, The Advertiser.